Angelo David Pisacreta, celebrity hair stylist and creative director of the Angelo David Salon, wanted to disrupt the hair care market with a unique, first-of-its-kind hair revival supplement. Angelo approached GIRVIN to create a brand identity that matched the revolutionary attributes of his products. GIRVIN held an initial BrandQuest® Workshop with him, to fully understand his vision for the products and to guide the way for us to develop the brand identity, logo, packaging, website, digital and printed marketing collateral and email marketing. 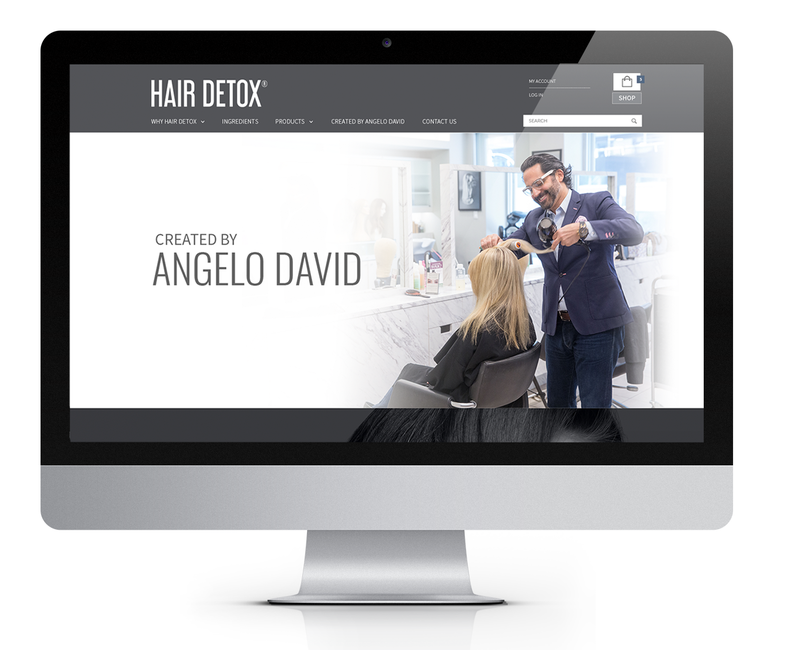 GIRVIN met with Angelo to get to the root of the story behind his new Hair Detox brand. This was achieved through GIRVIN’s proprietary discovery workshop, our BrandQuest®. GIRVIN used images and content to sort out potential styles and personas for Hair Detox which eventually shaped the overall visual direction for the brand. Through Angelo’s 25 years of experience and hands-on research, he developed a variety of products and techniques to help his clients have and maintain healthy hair at any stage of life. Because of the first-of-its-kind nature of the products, GIRVIN took a more modern and minimalistic approach to both the website and the packaging. Utilizing contemporary type and straightforward messaging, GIRVIN created a clean, minimal brandmark that pops in imagery. The packaging is simple with a unique color palette that resonates well in person and online. 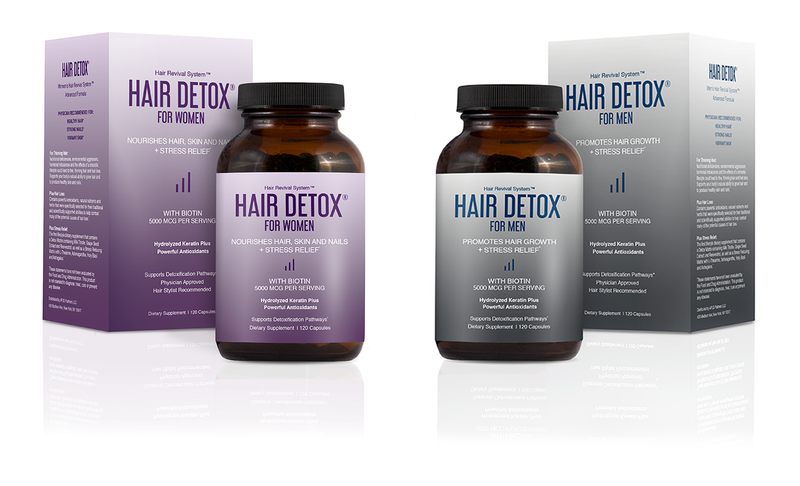 Hair Detox is the first lifestyle hair supplement on the market. It is unique in that it addresses issues many people of all ages face, such as hormonal imbalances, environmental aggressors, and stress. 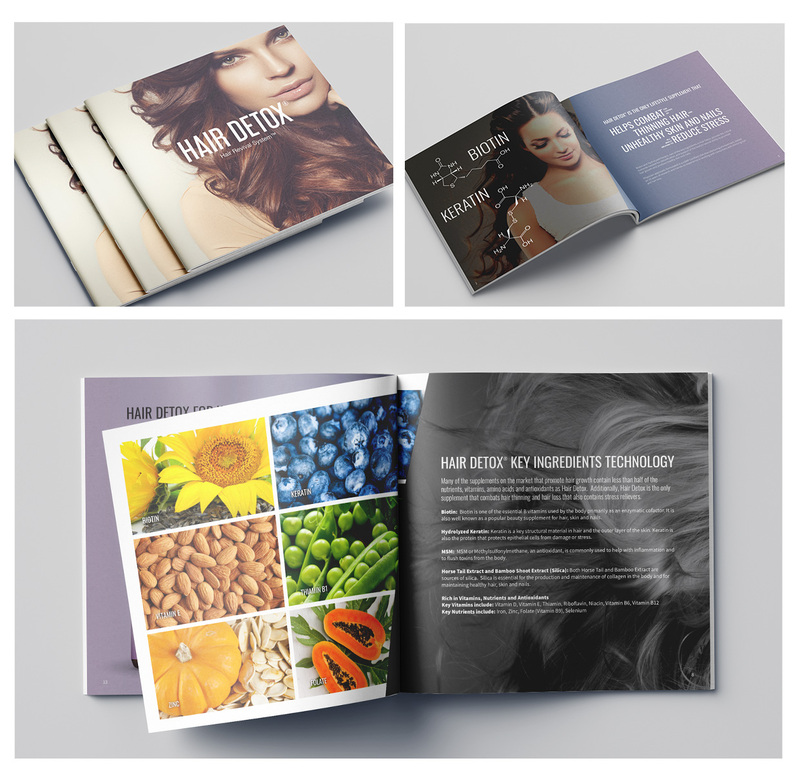 GIRVIN developed an influencer brochure, a visually alluring guide that outlined Hair Detox’s attributes in a digestible way and would empower influencers to promote Hair Detox. 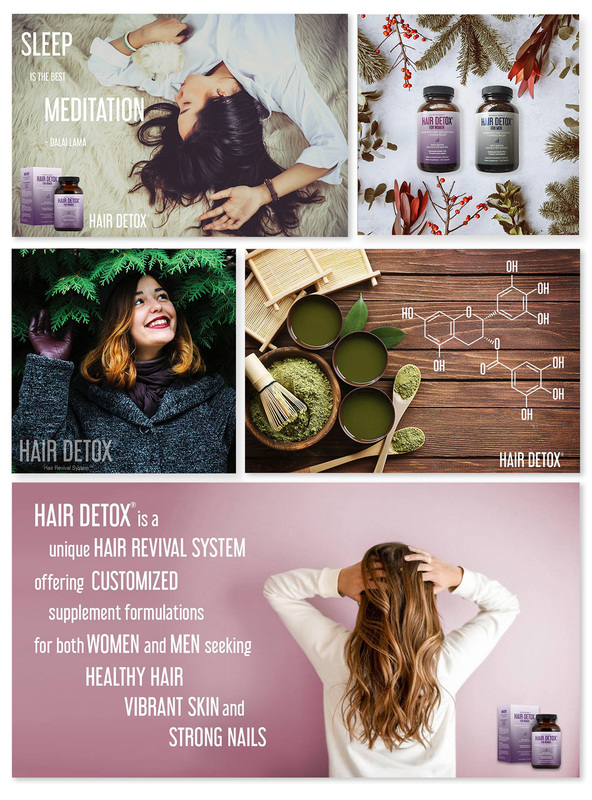 Eye-catching and informative, GIRVIN created a digital and social experience showcasing a lifestyle that allowed followers to shop and learn about Hair Detox’s products. 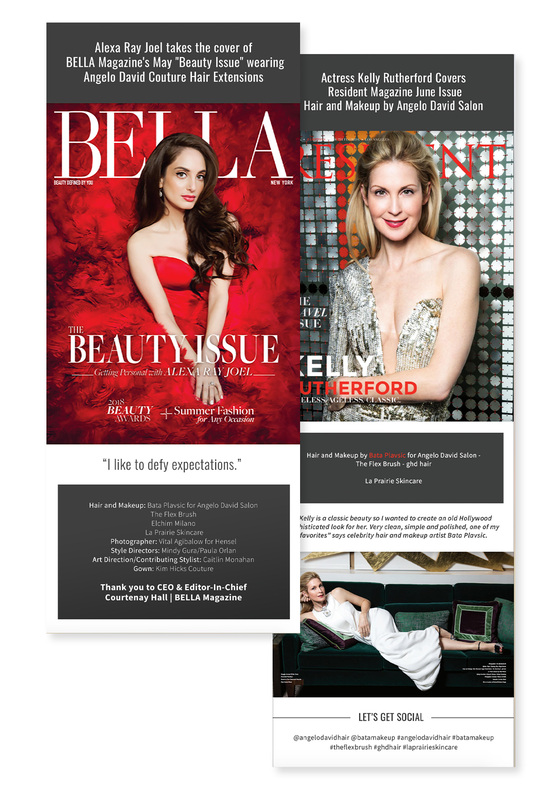 GIRVIN created e-blast templates that were designed to align with the same brand language, look and feel as Hair Detox’s website. The templates were provided with the intention of giving Angelo’s team an easy way to promote both his notoriety with his salon and product updates with Hair Detox.